Local council voting papers are due 8th October! SPOKES asked all DCC mayoral and councillor candidates the following questions regarding their views on cycling infrastructure in Dunedin. 2) If yes, what should be a priority in delivering the strategic network? 3) Will you support the SH1/one-ways separated cycle ways work? NOTE: Some candidates have not responded. If you would like a Word or PDF copy of these responses, please email spokesdunedin@gmail.com. 2) I would like to prioritize cycling infrastructure in low income areas, to encourage more people to begin cycling. I see South Dunedin and North Dunedin as important places to ensure are safe to cycle. I would also like to see work completed on cycle ways in the Kaikorai Valley area, and up into the hills. However, this is just my view, and I would also like to research areas that need to be a priority. 3) If it means that cycling is safer – not just for cyclists, but for pedestrians and drivers too – I will definitely support it. Dunedin needs to invest in our future, and that means encouraging more people to get out of the drivers seat and onto more environmentally friendly modes of transport. If new issues arise from previous agreements then the intention should be to support the original intention of the agreement or legislation where safety is the concern. 3) Yes, and advocate for a new Parking Building in Frederick Street. 1) I would support a strategic approach to cycle ways with good community consultation first. We have had some notable disasters which has not given people confidence in the cycleway projects. However I am a cyclist and will enjoy biking after council elections. My favourite ride is to Macandrew Bay and back on a good day. I realize it is the doors opening on to cyclist’s which is the most dangerous thing. I would love to see a win – win with more car park buildings say around the University/ Hospital area and other places along the Northern and Southern routes in particular. As Dunedin is not always good for biking in winter and we have big hills and an aging population we need to consider car use will continue. 2) The routes I have particular interest in initially would be the Northern and Southern Routes, Mosgiel, The Harbour Circuit and I was just talking about a town belt route to someone the other day. 3) As I bike along there with the widening I feel a lot safer than I used to. I am really keen to see if we cannot get someone to put a carpark building in a couple of sights so we can create a win/win solution as I know how hard it is to get a park in that area as it is – and we have a lot of elderly residents in Dunedin. I think electric cars and bikes will be the future. Some of these routes can create a win/win with their tourist potential. I am actually keen to see if we can’t get some routes going to link up with cycle trails and even have the Taieri Gorge Train link up with the Alps to Sea trail and the Central Otago Rail trail. I did hear that the Lawrence trail is looking to get all the way to Waihola – would’t it be great if we could link up with that!! I would like to see a healthy Dunedin and this can be achieved in many ways. Separating cyclists and large traffic volume fits into my philosophy. There could be a reduction in air pollution from car exhaust fumes (good for our breathing and health), increase citizens fitness and ease ways to move around the business, retail and university districts as fewer cars are used. A healthy Dunedin means the citizens are able to work more and increase productivity. This means more income and growth for Dunedin. I would be keen to see the cycling networks completed as long as they were safe networks for cyclists. Dunedin has some very flat areas where cyclists could cycle to work and to recreation. More serious cyclists seem to have no trouble going up the hills with the gears on bikes today. If there were safe cycle-ways more people might use this mode of transport and Dunedin city would benefit by having fewer cars on the road, less pollution and healthier citizens. Overseas, New York and Chicago, there are “Hire Bike” schemes where people hire bikes to look at the city or go from place to place—imagine a ride up the Dunedin hills as a tourist attraction in summer or a cycling race like the running Three Peaks. We could have a new kind of tourisms here. 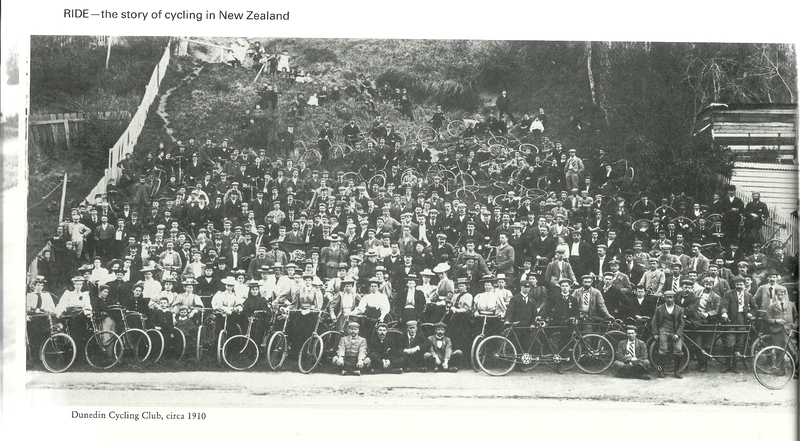 (There was a couple who introduced cycle tourism here and gave guided tours around the South Island.) There is already the Rail Trail so this idea could be diversified into other areas. If there was a safe cycle path then students could have bikes to travel to University and this would ease the lack of car park situation around that area; healthier for students and for the rest of Dunedin citizens. As an economist I would be looking to do this in the most efficient, safe and economical way; the cost of a single death runs into thousands of dollars so trying to find a way of separating cyclists from large trucks and large traffic volume would be preferable to cyclists and traffic sharing the road. It has to be affordable taking into account all costs and benefits. Thank you for the email, I believe cyclist are entitled to be safe on the roads and I support sensible road changes to make this possible. Unfortunately the link does not work for me so I am unable to comment on the Strategic Cycle network specifically. I do believe however that the cycleways developed so far, have been an advantage to the City’s cyclists but I also feel they could go further. I would be supportive of any initiative which will make the roads safer for all, and especially those more vulnerable users such as Spokes members. I would welcome the opportunity to come along and speak to your members if this is at all possible as I believe there are benefits of actually speaking to people rather than just answering questions, and I would certainly want to ask your members some questions on what they would like the Dunedin City Council to do for them, and what I could help them with if elected as a councillor. 1) In principle yes but would need to be fully briefed first before voting. 2) I would want a full briefing first but my inclination is the university area/ central city. I would want to see stats on where cyclists are most vulnerable and which sections would deliver the best effect first. In my current role as Chair of the Otago Peninsula Community Board I have worked hard to lobby DCC and was successful in securing the completion of the walkway/cycleway on the Otago Peninsula- the Portobello Rd/ Harrington Pt Safety Improvements Project . Physical work will start next year and I have advocated to Council for a member of Spokes to be part of the Reference Group for the final design detail. I am just as passionate about the completion of the Chalmers side and if elected will certainly be advocating strongly for the completion of that section without delay – there has to be a way through the current issues I am very concerned about the safety of all road users on both sides of the harbour but especially cyclists and do not want to see a tragedy occur. I have always found the proactive / preventative approach harder to get traction on in some instances without the stats to support – near misses just don’t have the impact unfortunately. However if there is a tragedy that will trigger a response. That has never sat comfortably with me and I have worked extremely hard on a number of fronts in that regard re the Peninsula side and also regarding visitor drivers. 1) Yes a thousand times. I would like to see the entire network implemented with a high standard of design and a quality build. No more cutting corners. 2) Caversham and Chain Hills tunnels should have been done a decade ago. This should be the number one priority. Also the St. Leonards to Port Chalmers section of the Harbour Cycleway needs to be completed as soon as possible. Cost escalation is no excuse and we can’t let the NZTA push us around. 3) As an avid cyclist myself and the father of an aspiring cyclist under age 10, I will support any initiative that makes cycling in our city safer. In the long term I would much prefer to see a permanent solution that removes SH1 traffic from the University Campus and the CBD. However I recognise this is much easier said than done and I value all the time and effort that has gone into planning a separated cycleway option that allows the best way to make due with SH1 in it’s current location. For that reason I support completing the works as an interim measure, but I would like to see some priority put on visioning a long term option to divert SH1 around the University Campus over the next 20 to 50 years. 1) Yes. The roll out of the South Dunedin Cycle Network was poorly implemented, a costly error, and unfortunate in how it generated so much ill will towards the project. That said, we can’t afford to give up on providing safer cycling in Dunedin, because It’s core infrastructure in a 21st century city. 2) Our priority should be delivering separated cycle lanes on main arterial routes, to increase the capacity for commuters. Beyond South Dunedin, the Northern Commuter Route and the Mosgiel Route via the Caversham Tunnel. 3) I have always been supportive of this project, and it has been frustrating to see it stall. I think the focus has to be on pushing NZTA to deliver the best cycle facility they can, from a safety and urban design perspective. Then we can deal with any downstream effects (especially parking) when we have a better idea of what they are (rather than trying to predict the scale of the problem and fix it at the design stage). I must admit I have not kept up with this report and thank you for the website document. I am currently involved on a Trust promoting a heritage tourist attraction who have on their project plan, a proposed cycle route through the town belt that would link with our project. I am supportive of cycleways in general as a means of moving people safely around town, but I must reserve my judgement on the SH1/ one ways project mainly for those safety reasons. I have always had a negative opinion on allowing cycleways along a state highway in and out of a busy city. I travel along those roads on a daily basis and have noted several near misses for cyclists. I am certain that there is an alternative route north and south that does not pit a cyclist with a large truck and trailer unit, maybe on streets either side of a state highway could be considered. When I become a councillor I will no doubt be more informed and if I am convinced that this project is as safe as suggested and there is no traffic build up because of this then I will support it. Just for background, I go out with the AOK (now renamed) group most Saturdays, I’ve done the full (proper) Epic three of the last four years etc and in summer at least I like to bike most places. So I’m on your side and you guys do a great job! However, I wouldn’t by choice cycle down either of the two state “highway ones” in town or on the open road so I don’t support them (but I understand that project is being funded by NZTA anyway so if they pay for it then it’s fine). I am, though, a very strong supporter of completing the Port Chalmers to Portobello (or further) loop. A great tourist attraction and an opportunity for a business venture to ferry locals/tourists across the harbour. I also love all the tracks that we have available around the outskirts of Dunedin – I think that we are very lucky. As a Green Dunedin candidate, I support any project that is part of developing a cleaner and more affordable bus service, safer cycling and more public spaces. So, yes I support delivery on the Strategic Cycle Network (2011) and the separation of one ways on State Highway 1 and cycle ways. As a one-time half-marathon walker, I really appreciated the development of the City to Port Chalmers cycle-way and believe that finishing this must be a priority. Although not a cyclist, I am very aware of “near misses” (critical, long-term impairment) sustained by cyclists and their families this year or Dunedin families who lost beloved Spouses/Parents due to injuries from motorists colliding with cyclists. While deeply cynical, but ever-hopeful – I am not sure what must happen in order for our society to make the necessary paradigm shift / leaps of faith to end our 20th century dependence on and addiction to fossil-fuels. In my opinion, along with the “new” physical infrastructure developed, we must also develop a flax roots’ level programme (resourced by both the Otago Regional Council and the DCC) that encourages mediation and seeks visionary collaboration between both cyclists and motorists. 1) I am strongly in support of increased use of cycling as a means of transport in Dunedin. Unfortunately our topography ( hills and harbour) and in many cases poor early city layout,have complicated the problem.But certainly the solution warrants continuing considerable debate before the best compromise is reached. 3) I will support a limited use of the south cycle way in places where,there is no alternative North-South route.The use of lower volume roads will increase safety and hopefully lessen the effect on adjacent businesses. 1) I will support the Strategic Cycle Network as adopted in 2011. I believe that cycle ways will enhance the overall infrastructure of the city and view them as part of the future development of our area. I do confess my lack of knowledge on this issue and thank you for pointing me in the right direction to find out about it, however, I am sincere about having a city that is responsive to the needs of all groups. It matters little that I cannot cycle (no peripheral vision), it’s about what type of city we co-create. I have two terms’ experience of Christchurch developing and implementing their cycleways programme (Community Board) and I have observed the process in other areas, eg: Wellington, on the west coast and Dunedin. 3. Longevity – Hazard zone? I support cycling and cycleways. I am in the “keen but not confident” majority group but I was unconvinced that the some of the routes planned in Christchurch met any desire-line and I’d question a few in Dunedin. 1) I support initiatives involving healthy, clean, sustainable transport options. I will definitely support the Strategic Cycle Network, and unless there was a very good reason to vote otherwise, my answer is yes, you would have my vote in support of the cycle network. 2) I think the priorities are about commitment to and finishing the cycleways. South Dunedin has been stated as a priority and I agree, a flat, busy, population dense, interconnected area such as South Dunedin should be a priority. However I see there have been a lot of hold ups and I would be supporting moving work forward as quickly as possible. In addition to the cycleway itself, ongoing education and interaction with the city regarding the economic and health benefits of having cycle infrastructure is an absolute priority and necessity for increased public support of this initiative. 3) Yes, I will support the work on separated cycleways on the one-ways/SH1 roading. Although I understand best practice seems to indicate that fully segregated cycleways are ideal, hybrid cycle lanes such as proposed for the one-way streets have been shown in countries such as Denmark and Sweden to be very practical, and will be a massive improvement from the current cycle lanes to cycle safety and clarity for cars, pedestrians and bikes. Looking forward to more conversations about ways to improve cycling and mainstream education about bike culture around Dunedin. Firstly as a Physiotherapist I have spent my career supporting physical activity and in my view cycling is one of the best. In essence I would be fully in support of any initiative that increases safe cycle access in Dunedin. The Strategic Cycle Network includes the harbour route that should, in my view, be a priority for completion. As you will be aware only part of this cycle lane has been completed. 1. Given that most vehicle accidents occur at intersections, how do we guarantee the safety of cyclists using SH1 cycle lanes from accidents that will occur at SH1 intersections? 2. I cannot see how you can separate cycles from vehicles at any intersection. 3. This issue at intersections on SH1 is especially critical as there is the largest volume of vehicles on these roads including logging trucks. 4. The new road rules state: vehicles turning left having the right of way over all other traffic. Given cyclists will be traveling straight through on the inside of a left turning vehicle how do we prevent accidents in this situation. 5.The road code for cycling states ‘never ride in the door zone’ of parked cars. Our council has currently placed a significant number of lanes in this zone and declared them safe for your use. Wouldn’t it be wonderful to lead the development of these initiatives in New Zealand, right here in Dunedin. My preferred option would be for cyclists to have a completely separate lane to use entirely. One other suggestion quickly. I have seen elevated cycle lanes in some cities, also pedestrian lanes exists where the decision has been made to exclude vehicles. the bottom line should be that we plan together for complete safety for your members, it can be done if there is a will to guarantee it. Thank you for your questions and good wishes. Rather than directly answer your questions as I like to take things case by case with the benefit of all the facts, I will try to give you an overview of my thoughts on cycling in Dunedin. I will be totally honest with you and you are welcome to share this with your members even though it won’t win me any votes ! I lived in Palmerston North for nine years and I have no doubt that it is a cycling friendly city, I cycled there myself. I have lived in Dunedin for seventeen years and I believe that no amount of money will ever make Dunedin cycle friendly. Having said that we can certainly improve things and I do respect cyclists right to choose the bicycle as their preferred mode of transport. Having made that choice however I believe cyclists should be prepared to pay their share. I used to use a 100cc motor scooter in Dunedin but I sold it when the registration costs approached $400 per annum. I considered the scooter a very city friendly vehicle but I was so heavily penalised that it was not worth it. My point is that there is a cost to road use that is in my opinion is not fairly shared. I do believe that the electric bicycle has a strong future in our hilly city but again I believe that a users contribution would go a long way towards providing safe lanes for all cyclists. I would like to see the cycle way to Port Chalmers completed, I think it would be a good asset. Some of the costs being bandied about for it are prohibitive so again it is down to affordability. To sum up I would like to see more cyclists and motor cyclists travelling in safety around town. I would also like to see pedestrian only streets in the city centre. I do believe we could do a lot better and that mistakes made in the past must not be repeated. Any future work on cycleways must be done wisely and most importantly done right first time. As a wheelchair user of Dunedin’s roading network I believe our roads need to be functional and safe for everyone. I fully support the goals of the Strategic Cycle Network as adopted in 2011 by the DCC. I will support and vote for clear and realistic budgets and timeframes to complete the majority of the proposed bicycle networks for the city within a 10 year period. The priorities I see are the North Dunedin, City Centre and South Dunedin connections along with the Mosgiel – City routes. I also support the separation of the cycleway along SH1 as a priority. We also have this in PDF format, please email spokesdunedin@gmail.com if you’d like us to email you the PDF version. 2) Experience has shown us that the design and the quality of construction of elements of the network are extremely important both for the safety and usability of cyclists and motorists. The design and standard of cycle ways is the key priority in my view and budgets will need to be reviewed to ensure progress delivering the network is not effected unduly. 3) Yes, it is essential to the rest of the strategic network that cyclists can transit the one-way pairs as safely as possible. 1) I will be supportive for the cycleway that extends around the harbour cone as per the map and SH1 central city. I however will not advocate any further cycleways for example South Dunedin unless the plan is changed for example: along the parks from the St Clair Esplanade, linking with Royal Crescent, onto Portobello Road and around either side of the Harbour. The poor implementation and subsequent ripping up of the cycle ways in the South Dunedin area was poorly designed and implemented and has already cost the ratepayers hundreds of thousands of dollars. We need to concentrate on where the accidents have occurred where large traffic volumes, trucks clash with cyclists. 2) The priority if this project is to be finished is extending the cycleways around the harbour cone and a safe network in the CBD around the areas of large traffic volume with trucks namely SH1. 1) I will consider, push through and vote for projects on their individual merits. There has been a lot of development in national programmes and thinking since 2011 so I’’m keen to ensure we continue to contemporise our thinking rather than being locked into a single vision. 2) Some of the issues encountered have been far from helpful in terms of making good decisions and making good progress. Out of all the cycle relevant projects I believe the round the harbour piece has the most strategic importance. It provides the basis of a great visitor experience which help the city economically, its provides a safe and fun environment to take the kids while giving them the opportunity to engage with the harbour (keeping the bike or scooter out of the water of course). It also provides a commuter option. I like it because it provides benefit in many layers. 3) In order for us to achieve our potential as a city and also to minimise the risk of stagnating I believe we should have a clear focus on growing the number of people who live and do business here. This requires more aspirational thinking about population. This then requires different thinking about housing, transport, roading and other services – including how we change or constrain major traffic ways. Would another 15-20,000 people living here change our view of the options? I appreciate that funding for SH1/separated cycleways comes from the Urban Cycleways programme which limits where and how it may be applied but I would like develop a closer understanding of how this may affect us in the future. Can your members give me some feedback on how the current changes to the one ways have worked since they were put in place, if this changes their thinking about the options and their thoughts on options with a meaningful increase in population? 1) Since being adopted in 2011 the projects aiming to deliver the Strategic Cycle Network have been mostly an extraordinarily incompetent waste of many millions of ratepayer dollars, and I will not be pushing for or voting through further spending throwing good money after bad. I have and will continue to support the development of the harbourside cycleway and have proposed a cheaper solution to the vexed Sawyers Bay/Port Chalmers pinch-point, and believe we need to work with the University to get better north/south central city cycle access without mixing cyclists and heavy traffic vehicles as currently proposed on the car-parking spaces of the One-Way streets. 2) Priority should be for providing cyclists safe north/south options away from the One Way street system, away from the large truck/trailers that have been fatal to cyclists in recent years. 1) As a long time cyclist and one of the people who led the campaign (as coordinator of the Harbour Cycle Network) to start the shared path from Ravensboune to Port Chalmers my views on ‘quality’ cycling / shared path facilities are well known. If Dunedin is to fulfill its strategic vision and become one of the World’s great small cities, well built, high quality cycling / shared path infrastructure is essential, especially as the number of cyclists / recreational users continues to grow and in the context of increasing demand for electric bikes which will provide recreational opportunities for a vast number of people not currently cycling. So yes, I will endeavour to see many of Strategic Cycle Network’s projects progressed as long as this is done with the full input of business, community, council, car and biking lobby groups. Most cyclists also drive cars so the infrastructure has to be of high quality and create real and safe separation of vehicles and cyclists / walkers – A white line on a road is NOT a cycleway! 2) A truly progressive, forward looking city wanting to create a great ‘vibe’ needs to focus on high quality, 21st century ready infrastructure that provides safe recreational and commuting opportunities for locals and at the same time offers up attractive tourist opportunities for the city. Therefore the focus should be on completion of key routes that will attract the highest number of users and provide opportunities for tourist operators to leverage off of. The West Harbour cycle/walkway is currently a path that leads halfway to nowhere and far greater effort should be made to get the path finished. If we create an off road cycle/walkway that takes us from Port Chalmers all the way to Taiaroa Head we will have created one of the World’s GREAT cycle routes that fulfills the objectives detailed above and have something that begins to make us a truly great 21st century city. Many of the other projects are priorities such as the Caversham Tunnel project being promoted by the Dunedin Tunnel Trails Trust, but I must emphasize that high quality infrastructure that creates real and safe separation of people and vehicles should always take precedence. 3) In principle yes, but only after robust consultation with all parties who may benefit from or be affected by its completion. As I have mentioned previously I am a huge fan of complete separation of vehicles and other users and I struggle to see how you can truly mitigate conflict along this particular route as ultimately it is a State Highway. I think priority should be given to other projects that are easier to push through and that result in giving Dunedin a network of high quality, well used, completely separated, tourist friendly cycle/walking tracks that we can all embrace. That’s a win for cyclists, a win for car drivers a win for walkers a win for tourist operators and will lead to a healthier more vibrant, forward looking Dunedin that we can all be proud of. 2) We need to start by getting full city-wide engagement. Hold open meetings where everyone is able to engage. Too much has been done behind closed doors to date. In the current plan, there were no visuals or details for everyone to talk about, except some lines on some maps. What are the cycleways going to look like and how will they blend in with the current community? Are we going to build “Rolls Royce” versions or cycleways that are practical and function? The community has a right to be sceptical regarding cycleways as we have failed many residents on this issue. We need to focus on making cycling in Dunedin a safe and efficient way to get around the city. 3) Yes, I do support a separated TWO-WAY cycle path on ONE of the sides of the one-way highway system. I believe that we must support this initiative in order to get safe cycleways travelling through town. It is also extremely important that we clearly show the community how this cycleway will interconnect with the full cycleway network and highlight the asset that it will be for inner city employees and employers such as Dunedin Hospital, the University and Polytechnic. 1) I support Dunedin having an integrated and connected transport system that gives its residents choices. As such I support and will vote for projects that make all transport users safer and provide for all modes. So yes! 2) I believe that the easiest way to implement safe and popular cycle/walking networks is to provide the best opportunities for more people to have a safe experience.I understand the demand for inner city cycling but wonder if broadening the demand by providing the Wingatui to Green Island and Kaikorai tunnels cycleway first would lead to more support for the inner city connections. I think there are benefits socialising cycling by changing the priorities order. (It seems very sad that cycling has not been normalised for a generation or two, while driving has). 3) I support NZTA addressing the high demand for safer cycling along the north and south spine of the City. I have looked at alternative routes and understand the substantial issues that they create. I think integrated infrastructure like a Bus Hub and park facility at Frederick Street and changes in parking on side streets would ensure any negatives to car travel can be mitigated and make the transport network safer for all users. I believe that all SH1 users will benefit from separated cycleways.